It’s time for a reboot of sign language interpreter education. Two year interpreting programs should become pre-professional programs that lead to a bachelor’s degree in interpreting. As professional sign language interpreters and sign language interpreter educators, we all understand the difficult work we are tasked with and we recognize when it’s working and when it’s not. Recently, four such professionals met over a three-day period to think about the current state of interpreter education and how sign language interpreter preparation needs to change. Each of us in that group of four brought differing experiences to the table and more professional hats than we care to count. We believe that many in the field have known this conversation is desperately needed, but more than that, it is time to act. It is time to radically examine how we prepare sign language interpreters nationwide. 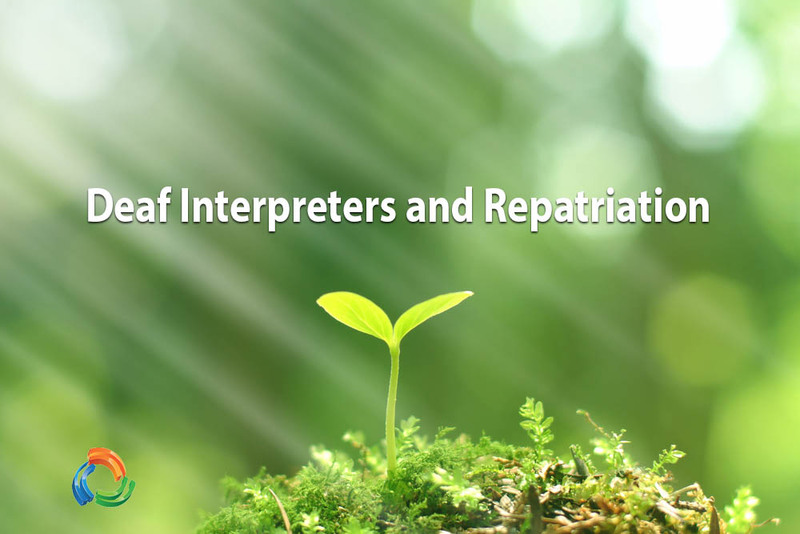 For far too long we have recognized that the preparation of an interpreter is nearly impossible to do in a two-year time period – whether those two years are part of a two-year associate degree program or the last two years of a baccalaureate degree program. We believe it is now time for community action. Collectively, we need to rethink how we prepare sign language interpreters and recognize that it takes a village to fully prepare interpreters. We are answering the call to action asked for by Cindy Volk in her Street Leverage article Sign Language Interpreter Education: Time for a National Call to Action. The proposed reformation is a three-legged stool; that is, the seat is a new way of preparing sign language interpreters who are linguistically and culturally empowered to making a lasting difference, and the three legs are what we need to do to support this change, namely empowering educators, enhancing the curriculum and establishing a strong foundation in language and culture. More often than not, we teach how we were taught. This is a widely accepted notion and one that rings true in many fields of study. Consequently, there is a need to provide training on how to effectively teach, assess our students on their progress towards mastering course outcomes and develop the curriculum. If we are to reform how we educate sign language interpreters, we have to first give educators the tools they need to not only rethink interpreter education but to change it. We need to prepare educators of today to be the leaders of tomorrow. It has often been stated that the challenge of preparing a student to be a sign language interpreter in a two-year program is simply insurmountable. The four of us have heard repeatedly from faculty in associate level programs that they just can’t get it all in the allotted number of courses. We’ve heard from faculty at baccalaureate level programs that all too often they receive students from associate programs who do not possess the necessary language skills to proceed. We all need to be held accountable and take action to correct this. Four-year programs need to be able to depend on two-year programs to fully prepare students for entry into the major of sign language interpreting. Two-year programs need to depend upon four-year programs to close the circle and complete the preparation so that students leaving are well-prepared for the field. Both two-year and four-year programs need to be involved with preparing interpreters in a complementary way rather than a competing or exclusive manner. 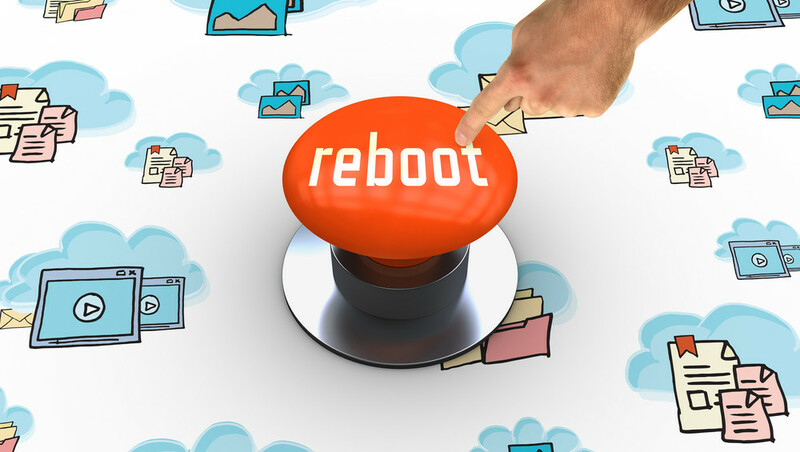 We suggest a reconsideration of the purpose of two-year programs. They should be pre-professional programs, with a focus on the foundations of interpreting. Courses should include ASL, translation, social justice, Deaf culture, pre-interpreting skills, and a stronger emphasis on the English language. In addition, interpreting programs should capitalize on the general education curriculum by creating a two year initial sequence that enhances the outcomes of students who are fully prepared to enter into interpreting programs with all the knowledge, skills, and dispositions necessary to succeed. As Lou Fant stated in 1974, “Prime prerequisite for an interpreter of any language is mastery of the languages he wishes to interpret. It seems so obvious that one feels embarrassed, almost, to mention it, yet I fear it is too often not given sufficient attention.”1 We would all agree that one of the most critical aspects of preparing future sign language interpreters is the development of a strong foundation in the languages they will use as interpreters. It is impossible to learn skills in interpreting, while also learning a second language. As a field, it is time we acknowledge this and require a strong foundation in ASL and English before entry into a sign language interpreting program. Rather than use two-year college programs to try and prepare students for the interpreting profession, why not use such programs to give students the linguistic and cultural foundations needed to then enter an interpreter education program? Establish a taskforce to examine a Deaf/hearing co-teaching model to develop foundational fluency in ASL for students entering interpreter training programs. Establish a track at the CIT biennial conference to address the need for reformation. Begin discussions about the possibility of adding specialty areas of preparation (education, legal, medical, etc.) to interpreter education programs. Examine the proliferation of interpreter education programs to determine if the need truly exists for so many programs. Begin a discussion between program directors from both two-year and four-year programs on how to develop a national interpreter education curriculum and outcomes. Research how competency-based education may be a model for our field. Research how theories, models and frameworks of spoken language apply to the preparation of signed language interpreters. An example of how two groups (e.g., two-year and four-year programs) can work together is the recent efforts of University of Arizona (UA) and Pima Community College (PCC). Currently, these two institutions are collaborating on the development of a framework that will address many of the issues raised in this article. The goal is to create a 2+2 program whereby students will begin at PCC with a focus on ASL skills and pre-interpreting skills. Students would then transfer to UA where they will study the interpreting process and further refine their skills as sign language interpreters. The language and culture foundations developed at PCC will be critical to the success of the students at UA. Both PCC and UA encourage other such programs in the United States to engage in similar collaborative efforts and, thus, reform how interpreters are prepared. This type of reformation needs leadership and direction. We recommend that the three key organizations in sign language interpreter education – the Conference of Interpreter Trainers (CIT), the American Sign Language Teachers’ Association (ASLTA), and the Commission on Collegiate Interpreter Education (CCIE) come together and move forward in realizing this vision. It is our recommendation that the Presidents of these three organizations meet to examine how they can individually contribute to, collaborate on, and lead this reformation. Reforming sign language interpreter education to graduate skilled, well-prepared interpreters should not be the concern of only a few people, but rather an urgent priority for all stakeholders, including sign language interpreting agencies, VRS companies, parents of Deaf children, children of Deaf parents, ITPs, and Deaf people. The time is indeed now – we must reform sign language interpreter education. We want to acknowledge the ideas and contributions of several people who helped frame the ideas we’ve presented here. Thank you to Leslie Greer, Jimmy Beldon, and Amy June Rowley. How can your program make significant reformations in interpreter education? Do you think the time is now for such reformation in sign language interpreter education? Why or why not? Are the ideas presented in this article feasible/possible in your community, state, and in the nation? If not, why not? 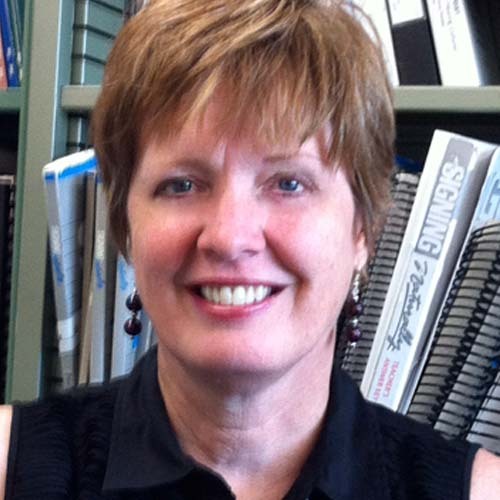 Dr. Carolyn Ball has been an interpreter educator for over 25 years, teaching at Brigham Young University, Salt Lake Community College, William Woods University and the University of North Florida. Currently, she is the Executive Director of the VRS Interpreting Institute (VRSII) in Salt Lake City, Utah. Taralynn Petrites, M.Ed., is the lead faculty of Sign Language and Interpreter Training as well as Department Chair of Behavioral Sciences at Pima Community College (PCC) in Tucson, Arizona. 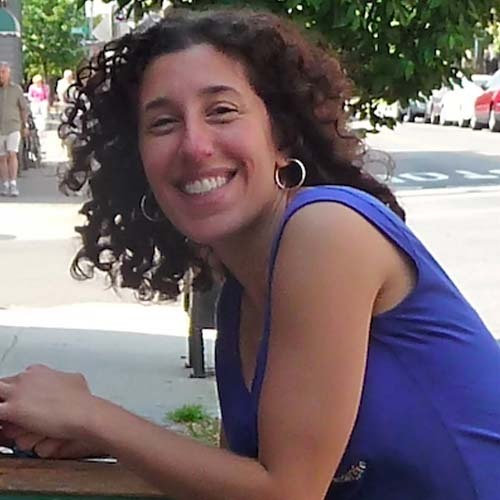 Taralynn has been teaching American Sign Language and Interpreting courses since 2002. She is currently working on her dissertation toward a Ph.D. in Higher Education Leadership. Len Roberson, Ph.D., SC:L, CI, CT, has been involved in the fields of deaf education and interpreting for over 28 years. He is an active researcher, interpreter, and interpreter educator. Dr. Roberson is currently Associate Vice-President of Academic Technology and Innovation at the University of North Florida (UNF) and a tenured professor. 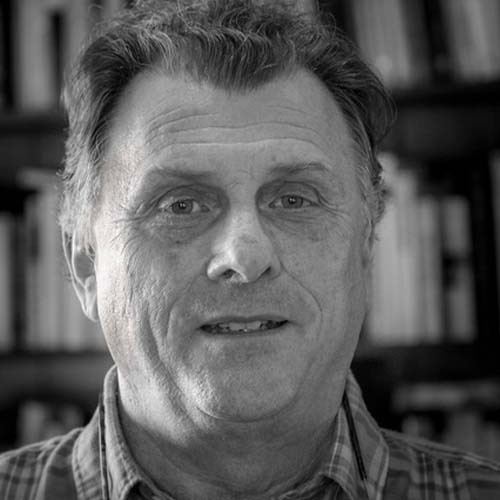 His current research interests include the study of interpreting in legal settings, distance learning effectiveness, and service-learning in interpreter education. 1Fant, L. (1974) JADARA (Journal of Rehabilitation of the Deaf) Volume 7, Issue 3, 1974 (pp. 47 – 69). This is a cri de coeur that in our headlong rush to commoditization, we not forget our community roots. Not long ago, Sign Language interpreting was snug in the hands of deaf communities. Deaf people exerted great influence over the field, as practitioners and as leaders. There was little question then of where interpreting belonged or to whom the benefits of interpreting should accrue. The events of the past 50 years have changed much of this. The re-emergence of Deaf interpreters is hailed as a lifeline to our original purpose as interpreters. Until October 10, 1973, I lurked in the shadows of Deaf World. On that day some of us were hanging around a television. We were actors in a touring theater company, and Harry Reasoner and ABC News were telling us that Vice President Spiro Agnew Had Just Resigned! At least they were telling those who could hear. Some of us who couldn’t hear, were rather too quick, I thought, to demand that I make known physically what Harry Reasoner and ABC News were going on about. At this point I was nine weeks into Deaf World. I soon discovered some things from my old world that were no longer available; things like literacy and sense of humor in particular. In Deaf World my main schtick of being verbal was less useful, most of the time, than the ability to be funny, smart and/or skilled in physical ways. But I was an actor, and I had seen interpreters work. I knew I could play the role of interpreter, if not do the job of interpreting. I remember fondly the encouragement from some of my audience, who assured me that my performance was certain to improve with practice and experience. This was the way it had ever been. Interpreters were forged in the crucible of Deaf communities. Deaf people actively participated in the selection of who would interpret for them and when, and often, how. Deaf people in positions of authority in interpreting were the norm. The adolescent RID from Maryland, USA still lived in its parents’ basement on Thayer Avenue. But adolescents grow up and grow away. RID moved into its own place and before you know it, here it is 2015, and CDIs are a welcome and growing presence. Of course, deaf people have been involved in interpreting for deaf people ab ovo. Shared access to information is woven into the culture. The RSCs of yesteryear are today rack focused as CDIs. For 40 years, interpreting education has wandered the scholastic wilderness: finding prosperity in some few hospitable locations, but barely subsisting in many others. IEPs are often ‘orphan’ programs in their institutions. Sometimes housed in Language departments, but sometimes in Communicative Disorders. Sometimes yoked to vocational programs like air conditioning repair and auto mechanics. The relatively small number of students enrolled makes it difficult for many programs to secure adequate funding from their schools. There has long been a desire to move interpreting education back, closer to its community roots. Deaf interpreters are an assurance that deaf people will remain strongly represented in and by our field going forward. Both community and interpreting have moved significantly in the last 50 years. Here is a rare opportunity to bridge that gap. By making deaf interpreters stakeholders in our educational programs and in our practice, we are respecting the past and protecting the future. But why is it so much easier to champion this cause than to accomplish it? The curricular impact of including deaf students into interpreting education programs is enormous. The inclusion of deaf students into IEPs demands the re-examination and revision of the entire curriculum in terms of standards, equity, and outcomes. This inclusion can have many wonderful benefits, but benefits that might come at significant cost. The plight of plugging deaf students into existing curricular structures designed for hearing students is considerable. The simple solution of offering instruction exclusively in ASL grossly oversimplifies the problem. Students who cannot yet express themselves adequately in their L1 are not advantaged by being forced prematurely into an L2-only mode. It also disregards the needs of those deaf students whose English fluency wants improvement. MJ Bienvenu does well in reminding us of the importance of interpreters being bilingual. 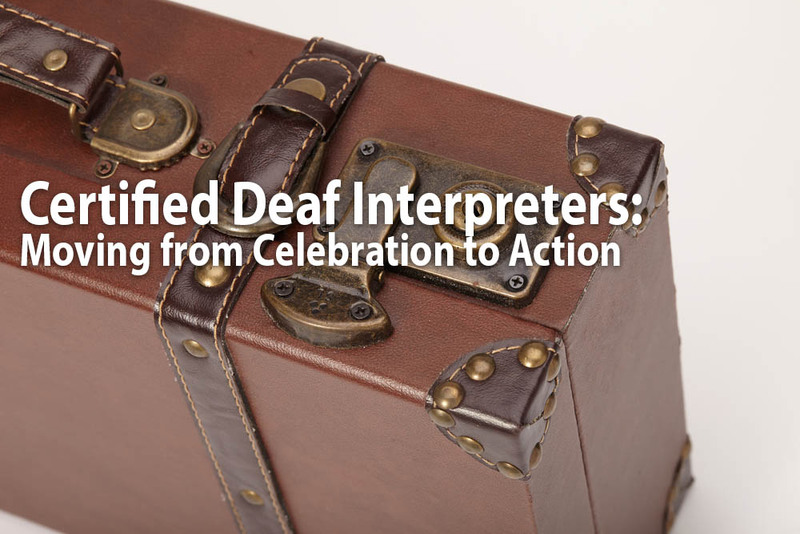 Similar challenges exist in melding deaf interpreters into existing workforces. Fundamental aspects of team interpreting with deaf interpreters are little understood, little explored. Roles, boundaries, responsibilities, and workloads vary widely, as do standards for education, training, and certification. Much work needs be done on creating norms for teams of deaf and hearing interpreters and for the inclusion of deaf interpreters into the practice of interpreting. NCIEC has done some early, brilliant work in this regard. It is still early days in this most recent episode of the evolution of sign language interpreting and interpreting education. Those in positions of influence ought to explore deaf interpreting and to do whatever possible to support its natural growth and development. This is the best chance we’ve had in a very long time to bring our practice into balance with our original purpose. But how do we best support this? Blanket provision of DIs in the absence of demonstrated need simply will not fly in most places. Of all the changes wrought in interpreting over the past half-century, one of the most profound is commoditization. Today Interpreters are both cross-cultural mediators and variables in profit maximization formulae. Interpreting has become a highly competitive billion-dollar industry. Interpretation is a commodity that is readily available at a wide variety of price points. In this economic climate, it is critical to distinguish need from preference, and cost from value. Given our recent history, it is not hard to foresee the implementation of Deaf Interpreters being underbid by providers more dedicated to profit than to best practice. Who is to say where interpreting belongs today? Both the defining of interpreters and the definition of interpreting have become quite elastic, allowing for new, remarkable perspectives on the provenance of our craft. Culture and Community have always held strong sway on interpreting. Now, Business clamors about having a proprietary interest as well. Whither interpreting? The resurgence in Deaf Interpreters could not come at a more auspicious time. Regarding interpreting, how do community standards, academic standards, and professional standards align? How do we reconcile the new “commodity” value of interpreting with the old “community” value of interpreting?